Unlike recent years, 2018 has not been a great one for the stock market so far. While the overall averages haven’t fared that badly, under the surface, a lot of stocks are taking hits. In fact, within the Dow Jones Industrial Average, fully 18 of its 30 stocks are in the red year-to-date. That leaves us plenty of so-called Dogs of the Dow stock to sort through in the hunt for value. Furthermore, the biggest winner of the year is up just 12%. Congratulations to Boeing Co (NYSE:BA), which leads the Dow in performance thanks to a surge in plane orders. Meanwhile, five Dow stocks are down at least 9% year-to-date. General Electric Company (NYSE:GE) trails the pack with a 25% loss thus far this year, but it’s far from the only decliner. However, the stock market is looking stronger this week, in part because the standoff over trade relations between President Donald Trump and China appears to be de-escalating. And tech stocks are finally starting to bounce after several rough weeks. Given an improving backdrop, what beaten-up Dow stocks are looking good for a bounce? Let’s start at the bottom of the heap. General Electric is having a no-good, horrible year. Over the past 12 months, it’s down an incredible 56%, with losses already registering at 25% this calendar year. For a former blue chip company, GE has turned into quite the dog indeed. But don’t count this one out just yet. From disaster springs opportunity. 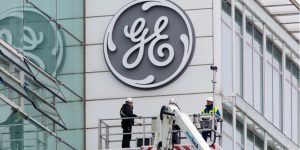 Analysts project $1.06 in earnings for GE over the next year. That puts the stock at just a 12 price-to-earnings ratio. The company’s industrial assets are still valuable, and should be positioned to benefit from Trump’s economic plans. GE has woefully underperformed its sector, but that sets the stage for a bigger bounce. There are risks here to think about, such as the company’s underfunded pension plan. But in the short-term, GE stock is seriously oversold and due for a healthy rebound. 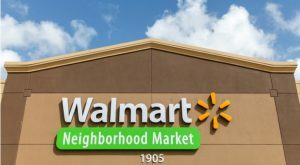 Walmart Inc (NYSE:WMT) may have gotten a bit carried away in 2017. Shares ran up, and then up some more. Between July ’17 and this January, WMT stock screamed higher from $75 up to $110. That has changed in a big way over the past quarter though, with the stock down 20% during this correction. That puts Walmart squarely back in the value-shopping range at just 16x forward earnings. That may not sound especially cheap for WMT stock, but keep in mind how well its online initiatives are going. The once-sluggish company has moved into digital into a massive way by buying Jet.com, partnering with JD.com Inc(ADR) (NASDAQ:JD) and building out its own namesake website. All this gives you a nice growth kicker to a company that is already one of the world’s most powerful with operations in more than two dozen countries. Walmart isn’t going anywhere despite the so-called retail apocalypse. Now, with its stock 20% off, it’s looking a lot more interesting. DowDuPont Inc (NYSE:DWDP) is quite the interesting stock today. Created out of the mega-merger between Dow Chemical and Dupont, the combined company is a $150 billion-plus-market-cap behemoth. But it won’t stay that way for long. In late 2019, the company plans to spin off three separate entities. These will include an agricultural-focused company, a specialty chemicals company and a materials-focused firm. The thinking is that having all these companies under the same roof has caused sizable undervaluation. If you break out each DowDuPont entity and compare it against a pure-play competitor, the sum-of-the-parts valuation comes out a lot higher. As Goldman Sachs put it in December with their buy recommendation and $91 price target, DowDuPont “offers one of the strongest self-help stories in the chemicals segment by transforming from a massive conglomerate to a group of more narrowly focused individual companies.” With the stock down 10% in recent weeks, it’s now under $66, offering substantial upside to that $91 level. Home Depot Inc (NYSE:HD) has been a winning stock over the past decade, but it has hit a rough patch so far this year, with shares down 15% since the January high. Investors are shunning the stock due to higher interest rates. The fear is that home-buying activity will decline as interest rates rise. Borrowers can afford smaller mortgages, and overall activity slows down. In theory, that’s bad news for Home Depot. In practice though, housing conditions remain strong. Home sales have been way below trend since 2008 — there are a lot of millennials who will be leaving apartments sooner or later. Home Depot also has the enviable position of being a winner in the new retail economy. Its products are bulky and don’t work well for online ordering. As an internet-resistant model, it can serve as a retail stock for investors scared of the carnage elsewhere in the sector. With analysts seeing 15%/year earnings growth over the next five years, the stock doesn’t look expensive at 17x forward earnings either. 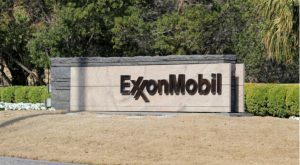 Exxon Mobil Corporation (NYSE:XOM) has been one of the more perplexing underperformers of late. It’s clear that investors are just sick of energy stocks. We can see that because, back in early 2016, oil bottomed under $30/barrel. At that time, XOM stock found support in the low $70s. Fast forward two years, and oil has doubled, while Exxon has done basically nothing. Shares again hit $73 recently before putting in a modest bounce. Regardless, if the market was too optimistic on how fast oil would bounce back in 2016, it seems too negative now. Exxon generates substantial profits and cash flow at today’s energy prices. The forward P/E of 16 is decent enough, given that oil is still in the middle of the zone between 2014’s high prices and 2016’s crash lows. At today’s prices, Exxon can comfortably cover their juicy 4% dividend and still have cash flow left over for reinvesting in their business. Historically, investors have done well buying XOM stock when it yields this much — this could be a nice entry point. 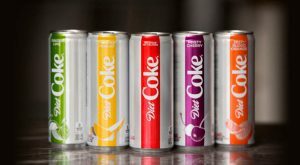 The Coca-Cola Co (NYSE:KO) has been a consistent disappointment. Over the past five years, the stock is up just about 5%. Basically, if you own this, you’ve only gotten paid a dividend in return for your loyal shareholding. That could change though. Coca-Cola’s forward P/E ratio has now dipped under 20 — a rare occurrence recently. That’s still not cheap, but the company has a huge moat. Sure, soft drink sales are falling off in the developed world, but they’re still growing in emerging markets. And Coca-Cola sells plenty of other beverages to more health-conscious consumers. On top of that, management’s efforts to overhaul the company appear to be finally paying off. Analysts see 7% compounded EPS growth over the next five years. That’s by no means a jaw-dropping growth rate, but it’s significantly better than recent years. That sort of growth, combined with a decent valuation and 3.5% dividend yield could lead to tasty returns. 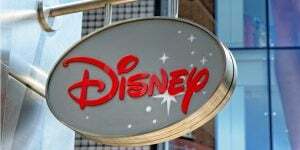 The Walt Disney Co (NYSE:DIS) has been another notable underperformer of late. DIS stock is down 10% over the past 12 months. It’s not hard to figure out why. Investors have turned awfully sour on cable TV channels. For example, look at the disappointing outcome for investors in the Viacom, Inc. (NASDAQ:VIAB) saga. Still, how much should Disney be punished for owning ESPN? Numerous observers suggest the Disney should spin off their unpopular cash cow, leaving the market to value the rest of the company more fairly. Now to be sure, Disney has other issues. Several of the company’s businesses are highly tied to the economy, leaving it vulnerable the next recession. But the core parks assets and media library are quite valuable. I’m not sold on their streaming strategy against Netflix, Inc. (NASDAQ:NFLX) but if it works, DIS stock could really surprise investors to the upside. 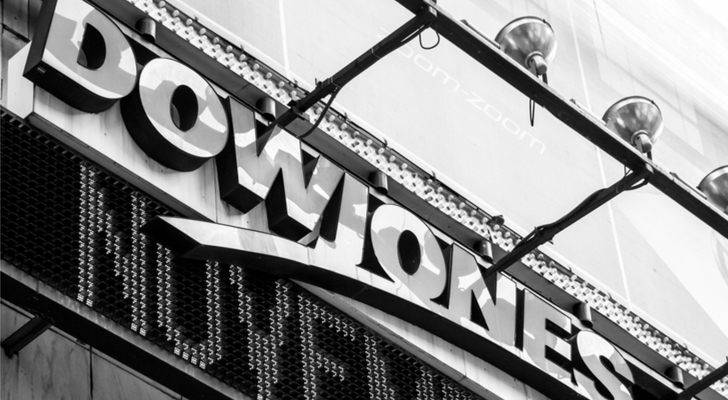 Verizon Communications Inc. (NYSE:VZ) may not be the most exciting in the Dow Jones, but it is one of your best choices for big dividends. With the recent 10% decline in VZ stock, Verizon now offers shareholders a 5% dividend yield again. That’s certainly an attractive proposition from a company trading at just a 10x forward P/E ratio. Why’s the stock down? Interest rate concerns play a big role, as investors are dumping high-yield stocks and retreating into bonds. That creates opportunity for investors willing to buy into a broader correction. There are higher-yield stocks outside of the Dow Jones that are also attractive in the wake of this interest rate retreat. But within the Dow Jones, you won’t find many better blue-chip dependable income names. Procter & Gamble Co (NYSE:PG) is another big, stable blue-chip dividend player on sale in the Dow Jones. PG stock yields 3.5%, leaving it well short of Verizon’s offering. However, in theory, Procter & Gamble should be able to grow more quickly, and thus reward shareholders in the future. PG stock hasn’t done much over the past year though. In fact, the stock is down 12% over the past year, and 15% year-to-date. What’s gone wrong? Like many multinational consumer products companies, it has struggled to deliver much in the way of organic revenue growth. And the company’s major brand divestment effort should raise margins over time, but it has hit the top line for now. At 17x forward earnings, PG stock isn’t that cheap yet, but it’s fairly valued in an overvalued market. For this sort of conservative play, a 15% correction is a sizable move. If you’re looking for a bond alternative with some potential upside, PG stock could work well. Finally, we have Johnson & Johnson (NYSE:JNJ). This is far from the deepest value on the list, but it’s still getting more interesting in light of the sell-off. Since January, the stock has given back nearly all its gains over the past year, and is now into the red for 2018. That’s despite a massive tax reform-inspired earnings boost. Analysts see earnings going from $5.43 per share last year up to more than $8.50 this year. If those forecasts are right, JNJ stock will end up at a 16x forward P/E ratio. That’s pretty nice for a diversified stable blue chip health care outfit like Johnson & Johnson. 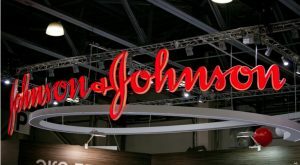 While the health care industry’s future is clouded under regulatory uncertainty, JNJ is about the safest pick within the sector. Again, at this price, the stock isn’t screamingly cheap, but you could do worse for a defensive name with a strong dividend track record and sound management. At the time of this writing, the author owned JD, DWDP, XOM, and JNJ stocks. You can reach him on Twitter at @irbezek. Article printed from InvestorPlace Media, https://investorplace.com/2018/04/10-dogs-of-the-dow-stocks-that-will-bounce-back/.